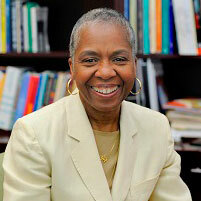 After 35 years at Carnegie Mellon University, Gloria Hill will retire at the end of July. Hill, assistant dean of the Dietrich College of Humanities and Social Sciences and director of the Academic Advisory Center (AAC), has been instrumental in shaping thousands of CMU students’ educations. As the “home base” for Dietrich College students before they declare a major, the AAC – under Hill’s expert guidance - provides information, advice and counsel about scheduling, the General Education Program (GenEd) requirements in the college and the various majors and minors available. Hill has also helped to mold the AAC into a place students can turn to during the transition into college life. Hill and her staff encourage and aid students in developing realistic goals and objectives for the start of their CMU academic careers. As assistant dean she also has been responsible for administering college and university academic policies and procedures and maintaining student records, as well as for the quality of advising throughout Dietrich College. "Gloria brought a wonderful presence to the advising center,” said Dietrich College Dean Richard Scheines. “She was warm, welcoming, and full of energy, but also quite calm and wise. I feel a bit deprived to only get a year to work with her, but she has definitely earned a little down time!" During her tenure, Hill is also credited with creating a more welcoming environment for the AAC – for students, faculty and advisors – and for helping to instill a stronger sense of college identity through programs such as Pride Day and final exam survivor kits. “We were incredibly fortunate to be able to recruit Gloria to become the director of the AAC. Using her outstanding experience in designing advising programs along with her managerial skills, she transformed the center to provide excellent advising and mentorship for our first and second year students and to connect them more broadly with campus resources and student affairs. She also helped to create a sense of unity among the Dietrich College students,” said John Lehoczky, the former dean who appointed Hill. Lehoczky also noted that Hill’s impact went well past advising, the ACC and even Dietrich College. In 1972, Hill joined CMU as an advisor. Since then, she has served as director of the Carnegie Mellon Action Project (CMAP) and assistant vice-provost for education, which, from 2004-2008, made her the liaison between CMU’s Pittsburgh campus and its then brand-new Qatar campus. In 2008, she assumed her current role. Her colleagues agree that the approach to advising has been forever changed within the college. Many believe that Hill’s lasting legacy at CMU and in the Dietrich College will be her devotion to everyone at CMU – students, faculty and staff. A celebration is being planned to honor Hill in September.